KUALA LUMPUR, July 11, 2018 - (Media OutReach) - JLG Industries, Inc., an Oshkosh Corporation company [NYSE:OSK] will unveil its new Low-Level Access equipment at the IPAF Asia Conference and Showcase 2018 being held in Kuala Lumpur, on the 18 and 19 of July. The company will also launch its new Operator Safety Training courses focusing on operator safety at height. 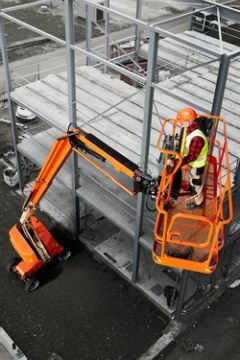 JLG is the world's leading designer and manufacturer of mobile elevating work platforms and telescopic material handlers. One of the Diamond Sponsors of the upcoming IPAF conference, JLG will unveil two new products at the event - the EcoLift, part of its new family of low-level access equipment, and the 660SJ, one of the most popular models in the new 600 Series Boom Lift range. 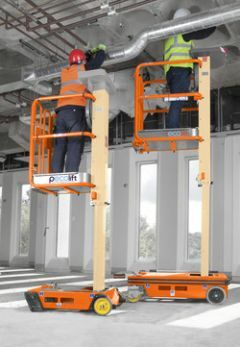 JLG's low-level access equipment, which are now being introduced in Asia, include four push-around machines - the Power Tower(R), the Nano, the PecoLift and EcoLift - and three self-propelled lifts - Nano SP Zero, Nano SP and Nano SP Plus. The platform heights range from 1.5 metres to 3.10 metres. As part of its endeavour to improve safety standards in the industry, JLG is introducing a series of training courses in Malaysia. Besides free online product training courses, operators can also sign up for Operator Safety Training conducted by JLG's appointed distributors in Malaysia - TH Tong Heng Machinery and Aerial Lift & Equipment. Using classroom-based tutorials, demonstrations, hands-on training and assessments, these courses aim to help operators to safely use MEWP / AWP equipment. JLG Industries, Inc., an Oshkosh Corporation company, is dedicated to helping customers enhance worksite productivity and safety by engineering, manufacturing, and selling access equipment that is reliable, powerful, versatile, and intuitive to use. The company's lines include aerial work platforms (AWP) with articulating and telescoping booms, scissor lifts, portable personal vertical lifts, low-level access, mobile stock picking lifts, equipment trailers, utility vehicles, and telehandlers for material handling applications. JLG Industries focuses on total cost of ownership, offering its customers a comprehensive portfolio of aftermarket services that go beyond traditional parts and services to include a new line of competitive parts, remanufactured parts, online and on-site training programs, a dedicated training facility, a growing parts distribution footprint, and used - as is, certified, and reconditioned equipment. JLG is a partner in its customers' success, reaching out worldwide to enable performance, boost productivity, ensure uptime, and support progress. With more than 4,000 employees and facilities across five continents, JLG supports its customers - and their customers - with world-class training, parts, service, used equipment re-marketing, and flexible financial services.